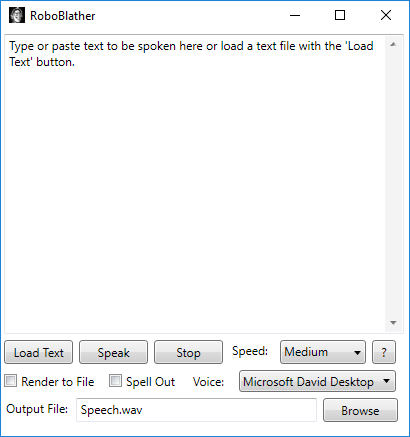 RoboBlather is a text-to-speech application. It uses the built-in speech synthesis power of the.NET Framework 3.0 to generate speech from whatever text you paste into the edit window. You can control the speed of the voice, render the output to a.wav file, and select any of the installed voices on your machine.